This cover has the stalwart hero and the angry, gun-totin' redhead, but the other guy's not an old geezer. I guess the old-timer was busy back at the ranch that day and missed the shootout. 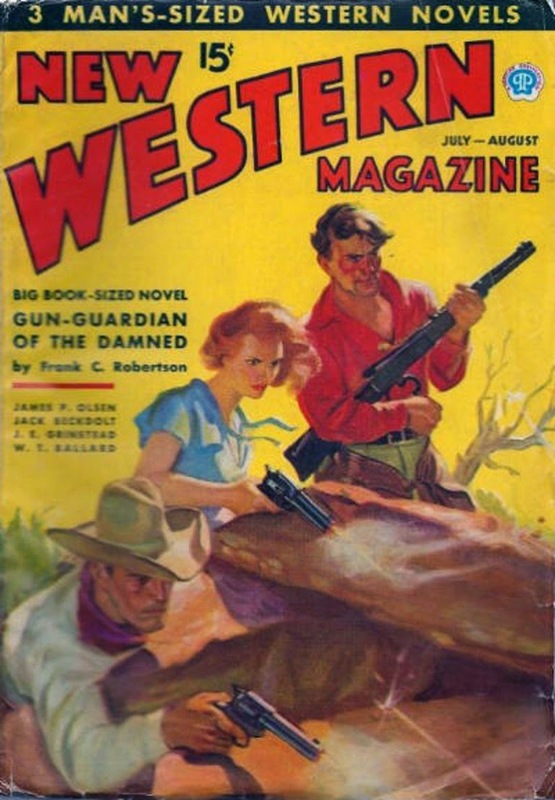 There's a good collection of stories in this issue of NEW WESTERN by top-notch pulp authors Frank C. Robertson, W.T. Ballard, J.E. Grinstead, James P. Olsen, and Jack Bechdolt.